Children have a weekly lesson with specialist Sports Coaches. 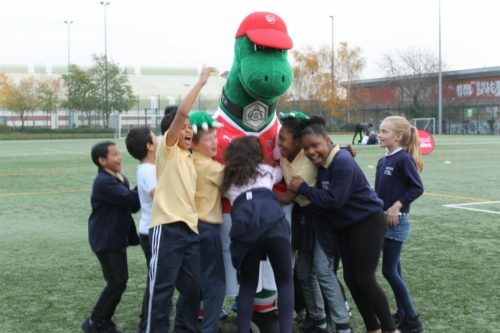 The school has close links with Arsenal Football Club and their coaches take weekly sessions with classes. In Years 2-4, children go to swimming lessons at Kentish Town pool for one term per year. We have a football team that plays in the Camden Primary league and take part in many other sports events held in Camden, such as dodge-ball. Every summer, we hold a school sports day on the athletics track at Hampstead Heath. To see our current PE Premium Funding for 2018-19 click here. To see our current PE Premium Funding for 2017-18 click here.